I&apos;d like to get into Macro Photography. Specifically, 10X to 20X magnification (but up to 100X) of abstract subjects, printed large on fine art paper or canvas. The notion is then to try to sell these prints (to pay for the equipment used to make them - a vicious circle). Note, you can click on any image to enlarge it. 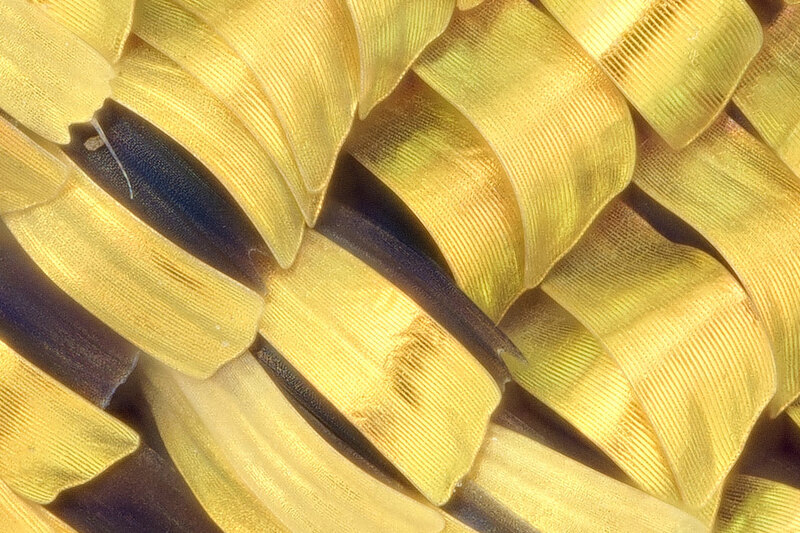 Here is a closeup of the wing of a Sunset Moth. Note, this is just a quick-and-dirty image. I don&apos;t think I have found the best tube lens yet (I&apos;m still testing my options). And I need to work on lighting. I could see making prints of mosaics of say, these scales from half a dozen or a dozen different subjects. Printed large in a grid on canvas. Or eyes (human, mammal, insect) arranged in a grid - printed large, sort of looking back at the viewer. A study in evolution. build a fast PC (PC2) to do the stacking and post processing. I&apos;m planning to locate the RPi-MP, NAS and Ethernet switch in a separate room to avoid their cooling fans from affecting the image capture. 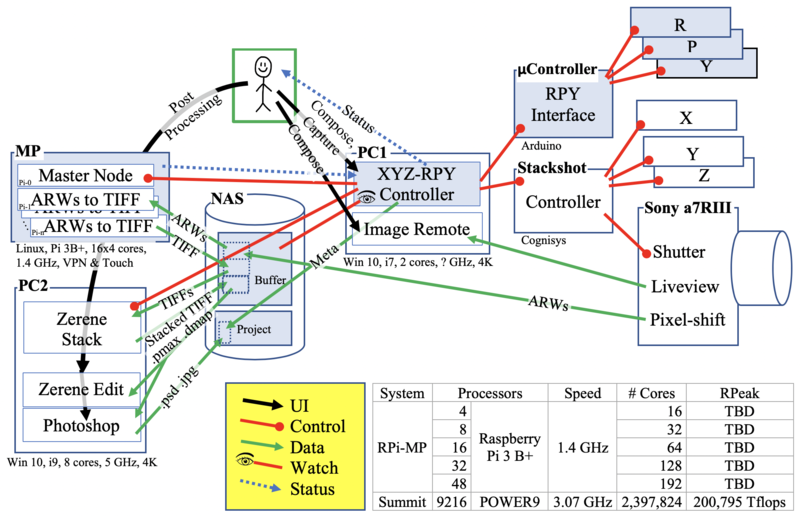 Everything is connected together by Gigabit Ethernet. There is also a Wifi connection from the Controller on PC1 to a web server-based monitor so I can check on status using my laptop, tablet or phone. whatever bits of 3D printed holders I need to glue it all together. I&apos;d like to use this as a learning exercise. I hope that using high quality components will let me cook up a system capable of high quality images. I hope to find and adapt older, lightly used, high quality components from Ebay, etc. Status: My new RPi-MP monitor based on my old Raspi Monitor is coming along. 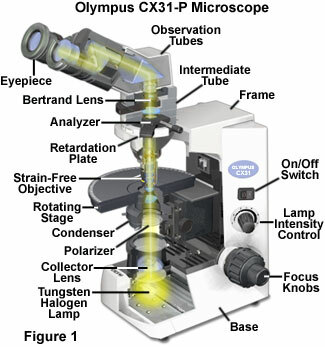 FAQ:How (and why) to use electronic flash at the microscope? I&apos;d like to be able to rotate (in 3 axes - roll, pitch and yaw) the subject. I wonder if I can&apos;t hack a 3D gimbal and control it along with the X, Y and Z rails. 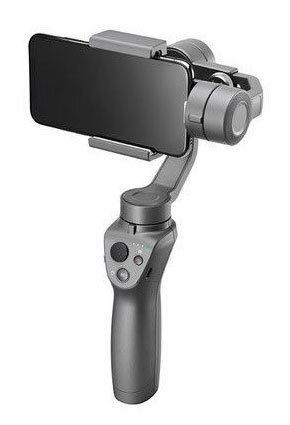 The gimbals are pretty inexpensive on eBay so I can&apos;t do too much damage to the pocketbook. 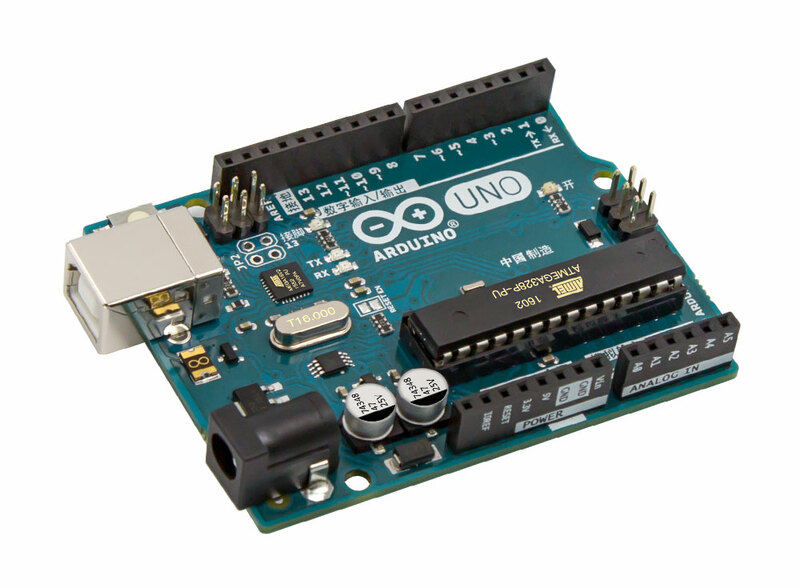 I would use an Arduino to control the gimbol.